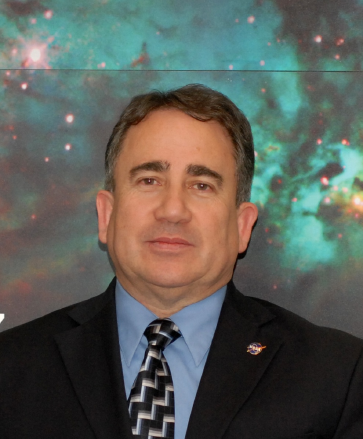 Dr. Perez is the Program Scientist for the Cosmic Origins Program, the Kepler/K2 mission and the Strategic Astrophysics Technology (SAT) Program within the Astrophysics Division at NASA Headquarters, Science Mission Directorate. He is also the Program Executive for several Exoplanet Programs such as the Large Binocular Telescope Interferometer (LBTI), W.M. Keck Observatory, NASA Exoplanet Science Institute (NExScI) and the NASA-NSF Exoplanet Observational Research (NN-EXPLORE) partnership. In addition, he is one of the Discipline Scientists for the UV/Visible portfolio, which includes grants that conduct investigations on detector development, suborbital payloads, laboratory astrophysics and supporting technologies. These grants are funded annually through the Astronomy and Physics Research and Analysis (APRA) program within the Research Opportunity in Space and Earth Sciences (ROSES) solicitation. Dr. Perez came from Los Alamos National Laboratory (LANL), where he spent seven years working on space, astrophysics and technology issues. Prior to this appointment he worked in the Washington DC area both for NASA Goddard Space Flight Center as IUE resident astronomer and for NASA science contracts with several corporations. He completed his undergraduate studies in Electrical Engineering and Physics and started working in astronomy while at the European Southern Observatory (Chile and Germany). He received his Ph.D. in physics and astronomy from Brigham Young University and a MBA from University of New Mexico. Dr. Perez’s research interests include star formation, young stellar objects - in particular Herbig Ae/Be stars - stellar populations in galaxies, ultraviolet spectroscopy, and space instrumentation.